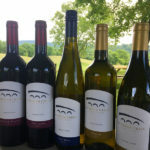 Antietam Creek Vineyards is located in the foothills of South Mountain, 60 miles from Washington DC and Baltimore. We take exceptional care in the vineyard to produce quality grapes that express the full characteristics of Bordeaux-style wines. Come join us for a tasting in our converted 1903 barn and take in a view of rolling hills and the mountains beyond. 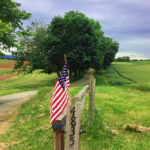 Antietam Creek Vineyards is proud to be a 100% local winery -- we grow all our own grapes and process all our own wine. Check our website or Facebook page for updated hours. Candied citrus fruit and a hint of pineapple define the aromas of this stainless steel fermented wine. Cool fermentation temperatures and early bottling retain the delicate Vidal character. The palate is off-dry to complement the crisp acidity of this French-American hybrid variety. 100% Vidal Blanc, a hybrid of the French variety Ugni Blanc and Rayon d'Or, itself a hybrid. This first varietally labelled Cabernet Franc wine from Antietam Creek Vineyards is a true representation of Maryland terroir and winemaking. It shows the restraint and refinement of the French style but with the ripe and rich character of California. 16 months in French oak barrels have given this wine structure that will hold up to years of bottle aging while also a sweet richness that only extended barrel aging can give. Made with traditional production techniques such as pump-overs in tank during fermentation, complete malolactic fermentation in barrel, and extended barrel aging on light lees. 88% Cabernet Franc, 12% Merlot. 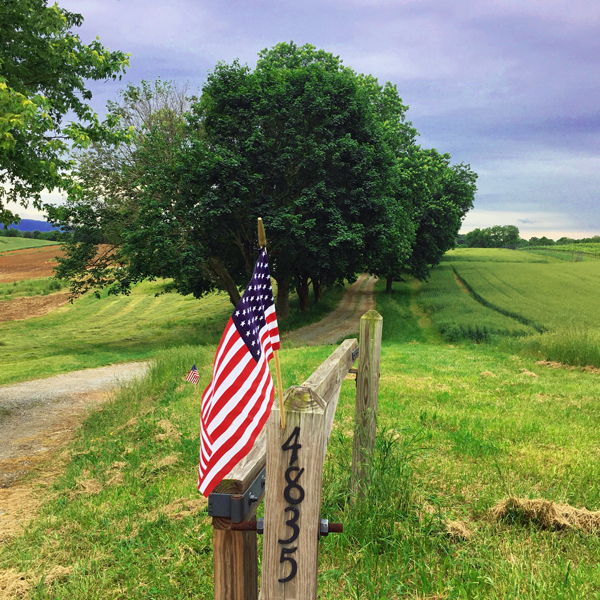 For 2016, Antietam Creek Vineyards made one red wine that expresses the essence of the Bordeaux blend: red berry character from Merlot, spice and pepper from Cabernet Franc, color and structure from Petit Verdot, with a hint of bramble berry and graphite from Cabernet Sauvignon. Complete malolactic fermentation and 14 months aging in French oak barrels provide softness and structure. 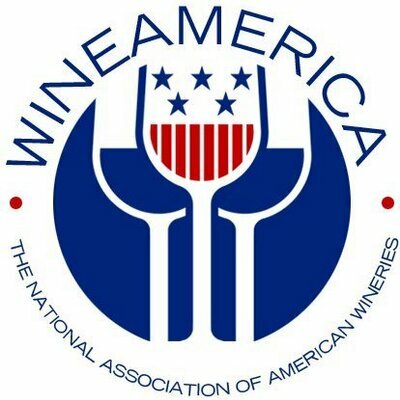 36% Merlot, 36% Cabernet Franc, 23% Petit Verdot, 4% Cabernet Sauvignon, 1% Malbec. Distinctly Old World in character, this Antietam Creek Vineyards varietal exhibits restrained citrus, grass, and herbal notes in the aroma. The palate however comes alive with a rich and focused core of chalky minerality, crisp acidity, and a hint of smoke. Aged entirely in stainless steel and blended with 12% Pinot Gris. Made in the Burgundy tradition, Antietam Creek Vineyards' barrel fermented Chardonnay exhibits classic notes of pear, toast, cream, and hay. The palate is rich and full-bodied with structure from nine months of aging in French oak barrels (33% new). 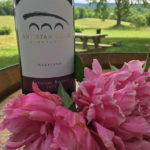 Unique to Antietam Creek Vineyards is the inclusion of another Burgundy variety – Pinot Noir. For 2016, this comprises 17% of the blend. 33% of this wine was put through malolactic fermentation. 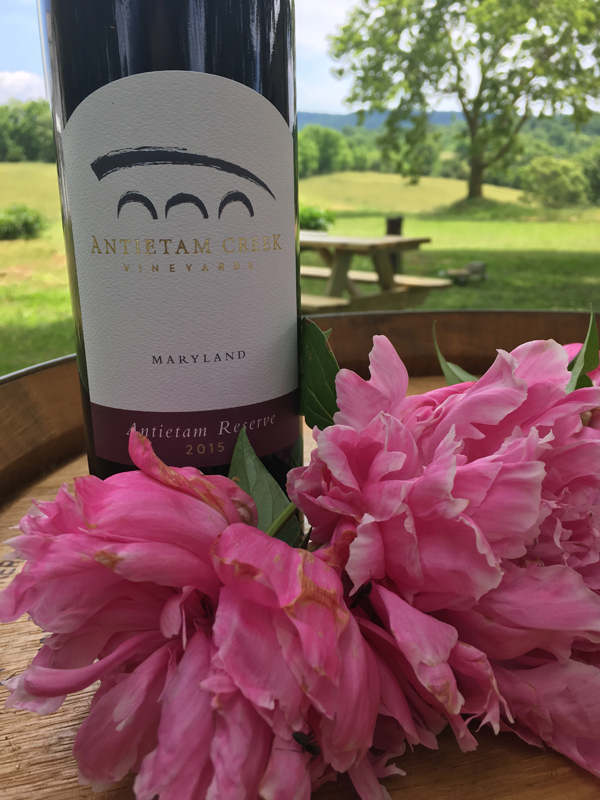 Antietam Creek Vineyards' 2015 Antietam Reserve has a classic St. Emillion nose of black fruit and damp earth, with a slight hint of eucalyptus. The palate is round and supple with integrated tannin and support from aging in French oak barrels. This is a red blend, with 45% Merlot, 45% Cabernet Franc, and 10% Petit Verdot. 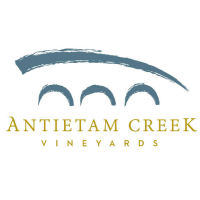 Antietam Creek Vineyards' 2015 Vidal Blanc is a semi-sweet with hints of tropical fruit, especially pineapple, on the nose. Vidal Blanc is an American hybrid varietal. Ours has 1% residual sugar, making it quite refreshing. The Albariño grape is a Spanish varietal newly introduced to our region. Antietam Creek Vineyards' Albariño is elegant, bright, and acidic. Its aroma suggests apricot and peach, with floral notes. 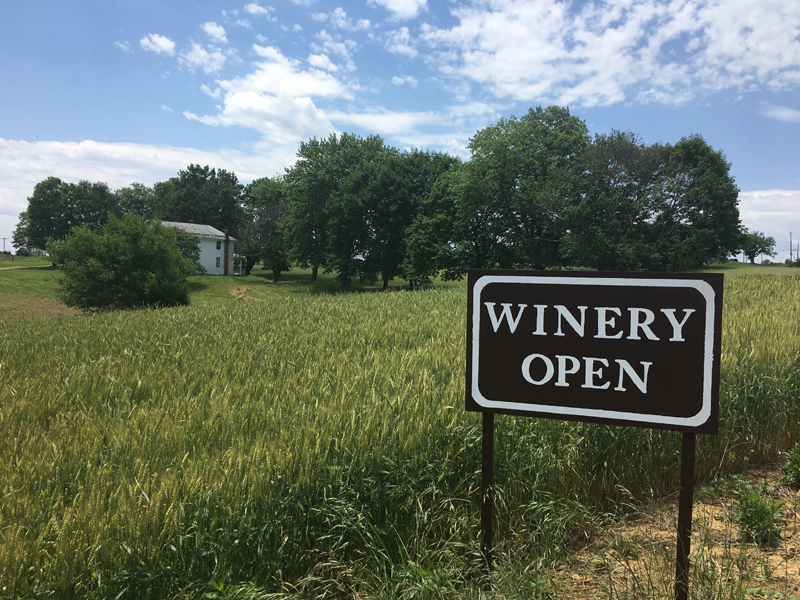 The entrance to Antietam Creek Vineyards’ estate. 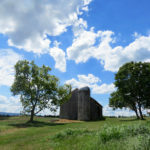 Come enjoy a wine tasting in the shade of our beautiful 1903 converted dairy barn. 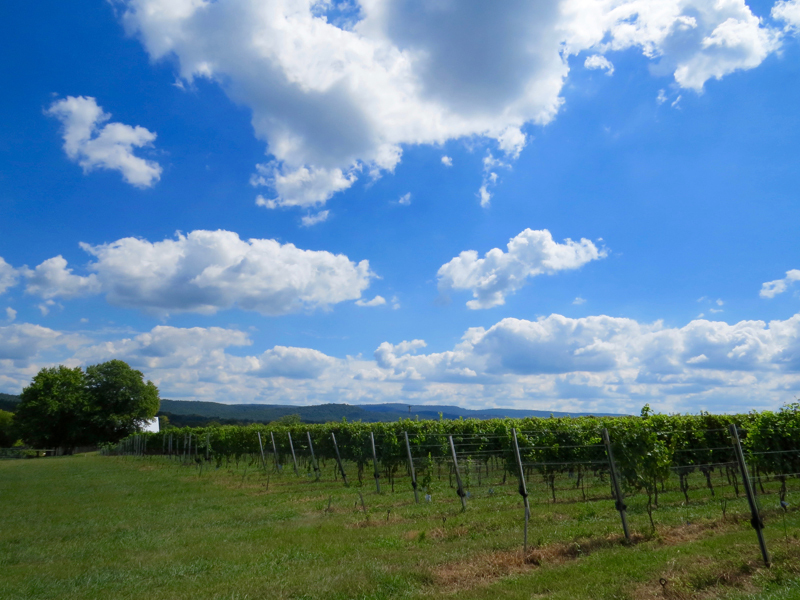 Antietam Creek Vineyards has 4.5 acres of grapes under cultivation, all with a beautiful backdrop of South Mountain just beyond. 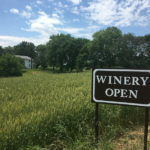 Antietam Creek Vineyard’s open sign. Come on in! Our logo is an artist’s rendering of the nearby Burnside Bridge. 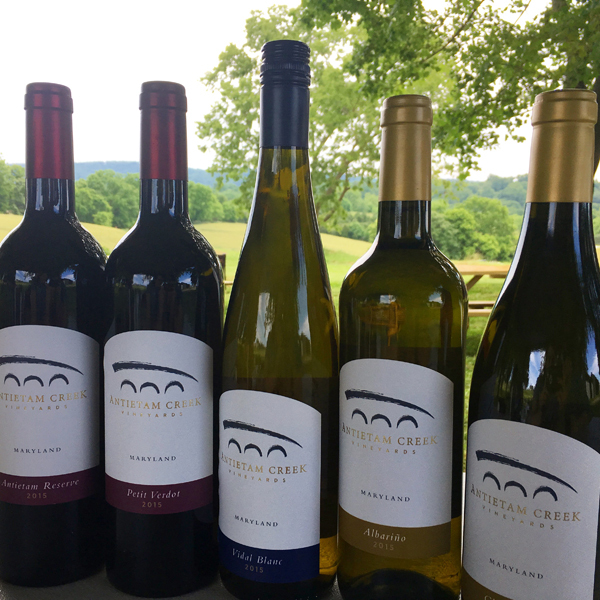 Antietam Creek Vineyards’ five wines from 2015 — three whites and two reds.